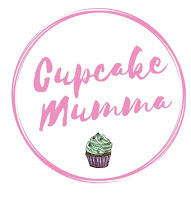 Cupcake Mumma: Not so Manic Monday.. I always dread Monday coming around. The weekend flies by, I never have much planned. Hubby is off playing football on Saturdays and then all of a sudden you're wishing Sunday wasn't coming to an end because Monday is the start of more soaking wet school runs, a whole day with no Hubby and well, it's Monday, I'm tired ok? Today though was different. Midge still wasn't feeling great after spending the weekend coughing and not sleeping so I made the decision to keep her home, see how she gets on. I was so tired this morning and it did start with bickering. Over television programmes, then Netflix, then it was not sharing arguments I was so pleased when the clock reached 11am and we all got ready for the nursery run! We escaped the rain and actually had a fairly nice walk together to nursery. I dropped Little A off leaving him happily playing with his big tub of wood, soil and dinosaurs and left the school cuddling Midge with one arm and walking at the same time. We haven't bonded like this in a long time. Well, it's not really surprising because we're never alone together. I didn't have much money but I thought stuff it, so we walked into Costa and sat down with our soya hot chocolates. Before nursery we visited the library and Midge picked up a book on World War Two so we turned the pages and she asked lots of questions about words and meanings and photos in the book. I had no idea she was so into history and she seems to just love it like myself so I will definetly make use of this! She also expressed an idea of going to see a play at a theatre after seeing some Peter Pan posters on several buses. We made it home to a surprise early visit from Hubby. He only stayed for well, not even 20 minutes! But he had managed to get an extra hour at work and wanted to see us despite needing to head back on the bus almost as soon as he got off it! I'll never grumble about his surprise popping ins from work though! We got utterly drenched on the nursery run and needless to say the day ended with onesies and jacket potatoes. I was still pleased to see bedtime because Little A hasn't been in his bed much so sleep hasn't been on the cards much lately! I've done a bit of crafting tonight and started a book plus caught up with a friend which was nice..well we catch up everyday to be honest and I'd hate not to! I hope you've all had a good Monday and if not well, here's to the rest of the week! I'm not keen on Mondays either, my day at home with the toddler and nothing in particular planned. I hope that Midge is feeling better soon and that you're able to get some more sleep soon! Hope everyones feeling better now? Like the simplicity of your blog but miss all your lovely Happy faces.